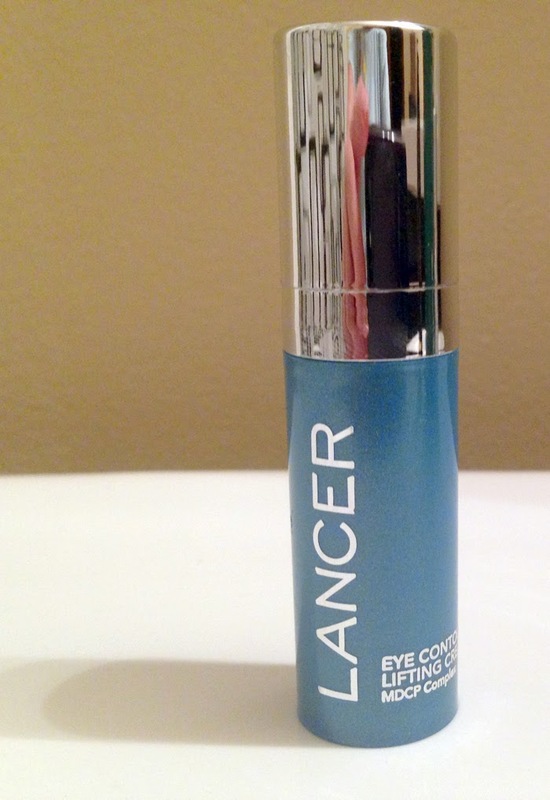 THE SKINNY: Lancer Eye Contour Lifting Cream is one of the best eye creams I've tried. The lotion is thick, creamy and cooling, and it feels wonderful against that sensitive skin around my eyes. I saw immediate results. No dark circles. No hint of tired. I've been using it twice a day, for the most part. I can really tell a difference on the days I don't use it. If only the cream wasn't so expensive. Lancer uses a blend of reflective elements, caffeine and something called a "collagen-boosting peptide system." Whatever it is, it really works. I will be a sad girl when the sample runs out. KEEP OR TOSS: Keep. I love this stuff. CHECK IT OUT: Lancer has a whole line of skin care products available at high-end department stores. All are expensive.